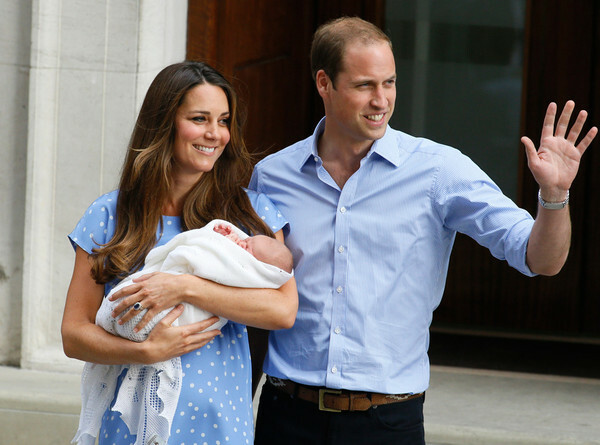 The birth of little Prince George Louis Alexander has stirred a renewed interest in the title of his mother, The Duchess of Cambridge. Apparently Kate’s occupation on the birth certificate is shown as "Princess of Great Britain", which has caused Royal fundamentalists to object, stating that she is no such thing and never will be. Not being born royal means that she can never be an H.R.H. in her own right, only as "Princess William of Wales", but since a Royal dukedom trumps the title of Princess, the whole thing is academic. English titles, subsidiary titles and courtesy titles are not to be compared with those of any other country, and it is only the British people that can fully understand them. Or can they…? Conflicting statements over this matter have over time been issued by Court officials, and I suggest that not even H.M. is 100% certain as to what might be correct. The newborn prince is to be known as "H.R.H. Prince George of Cambridge". As we all know, there is no Kingdom or Principality called Cambridge, so how can one be a Prince of it? That’s right, one can’t. The reason for this convenience title is of course that his parents are known as the Duke and Duchess of Cambridge and it is therefore practical to let him be known somehow by that name. That he is in reality a Prince of Great Britain and Northern Ireland goes without saying. The same thing applies for the children of The Earl and Countess of Wessex, yet for some reason they are not Princess Louise and Prince James of Wessex, which would have been logical, but are to be known as Lady Louise Windsor and Viscount Severn. H.R.H. Prince Michael of Kent is married to the former Marie Christine von Reibnitz, who has a pedigree every bit as grand as that of her husband. Yet, she was not born royal, and hence she is not an H.R.H. in her own right, only as a sort of annex to her husband. She is thus known as "Princess Michael of Kent" which in this day and age sounds perfectly medieval. Even in the good ol’ USA it is today far from politically correct to address a married woman as Mrs Joseph Brown III. The most striking example of irrational treatment of titles is otherwise the case of Prince Philip, the Queen’s husband. Upon marrying Princess Elizabeth in 1947, he was granted the style of His Royal Highness and the title of Duke of Edinburgh by King George VI. Ten years later, The Queen made him a Prince of the United Kingdom. But why was this at all necessary? Philip was already an H.R.H. and a Prince of Greece and Denmark, but for some reason that did not count, and as we know, Princess Elizabeth married someone else, Lieutenant Philip Mountbatten, and it still beats me why he chose to, or why someone talked him into getting rid of his proper names and titles.